We do more than just show movies. We present transformative cinematic experiences. At Indiana University Cinema—one of the nation’s most prestigious movie houses—we present and examine the world’s most entertaining, fascinating, and thought-provoking films, and we invite you to hear from the luminaries who created them. An arthouse cinema at IU Bloomington, we welcome everyone who enjoys movies. Our events will make you feel, grow, think, learn—and fall even more in love with film. Our 300+ annual events include movies of all kinds and many ways to engage more deeply with film. You can hear from prominent filmmakers and scholars, see rarely shown titles, and enjoy one-of-a-kind programs, like the premiere of a score for a silent movie. Because we want our events to be inclusive and accessible, about half of them are free. The pristine quality. The crimson seats. The enriching events. The community of film aficionados. 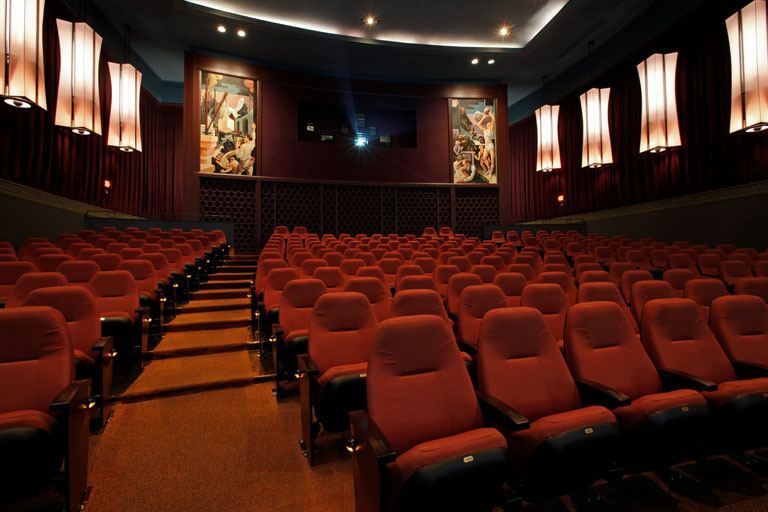 Once you see a film at IU Cinema, you won’t want to go anywhere else. Film is a powerful tool to help us learn about ourselves and our world. To facilitate that, we draw on IU’s vast film resources and collaborate with partners throughout IU and the community. At IU Cinema, students have many chances to learn about the industry and put their talents and skills to use. 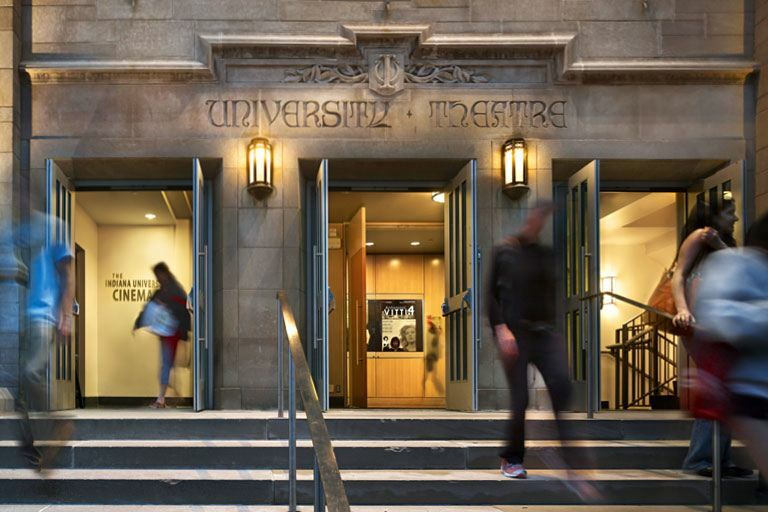 Students can screen their films, lead discussions with filmmakers, curate programs, have filmmakers critique their work in masterclasses, work as projectionists, write for our blog, promote events, volunteer as ushers, and more. Indiana University Cinema is just incredible. . . . There’s nothing like it anywhere else. For a film junkie, this is nirvana. 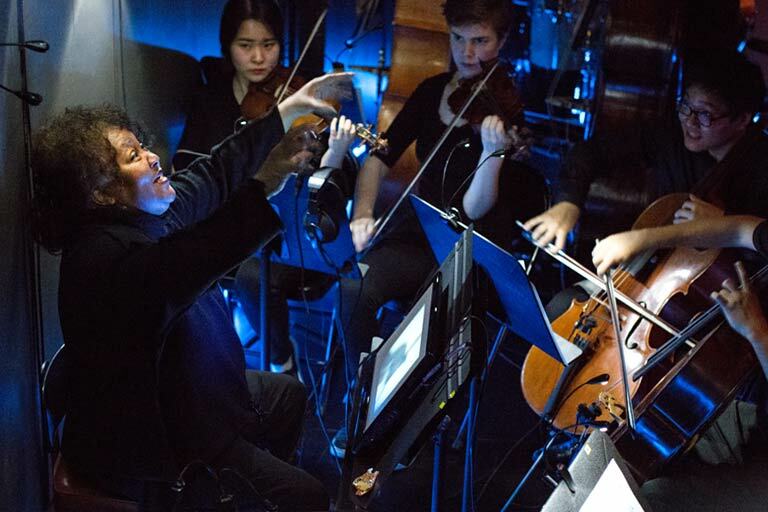 During a 2017 screening of The Scar of Shame, Renèe Baker conducted a live, world-premiere performance of a new orchestral score she composed for the film. The musicians were students in IU’s Jacobs School of Music. 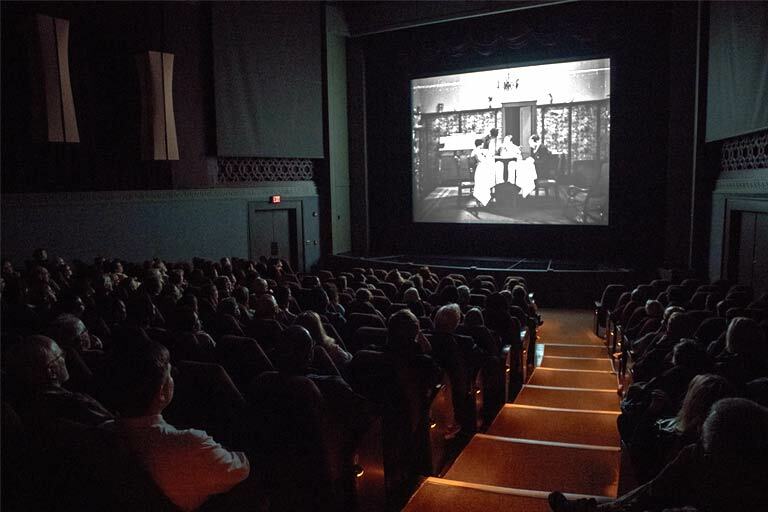 Indiana University Cinema is a world-class venue and curatorial program dedicated to the highest standards of presentation of film in both traditional and modern forms. By providing unique and enriching cinematic experiences, the Cinema advances Indiana University’s long-standing commitment to excellence, scholarship, and engagement in the arts across campus and community. Transformative cinematic experiences accessible FOR ALL. To see our past films and events, you can look at our archive. You can also see our most recent program booklets.